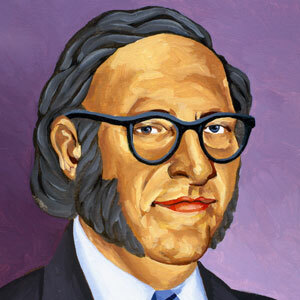 Isaac Asimov needs no introduction for most of us… The author of the Three Laws of Robotics and numerous book, stories and essays speaks again to us 22 years after his death, through a recently uncovered essay and discusses the process of Creative thinking. Here is one of the insights he offers, within the work that he undertook as part of of a DARPA funded project, handled by Allied Research Associates in Boston, an MIT spinoff company. I have to admit that one of my personal favorite Asimov books is the thoroughly enjoyable “Chronology of Science & Discovery“. Give it and try and find yourself witnessing human progress and evolution across the centuries, seeing creativity applied in tandem with the social environment of each era!! !